QUETTA -- A bomb Sunday (November 18) killed three paramilitary soldiers and injured four of their comrades in Margat area on the outskirts of Quetta, Balochistan Province, officials said. "An improvised explosive device planted along the road went off as a vehicle of Frontier Corps (FC) passed by," an FC spokesman told AFP on condition of anonymity. The blast follows another bombing Friday (November 16) in Malir District, Karachi, causing casualties and damaging property, according to police and hospital officials. "A timed device planted underneath a pushcart exploded with a big bang, killing two people and wounding eight others," senior police official Irfan Ali Bahadur told AFP. Seemi Jamali, a senior doctor at Jinnah Post Graduate Medical Centre, confirmed the casualty toll in Karachi and said two of the injured were in critical condition. 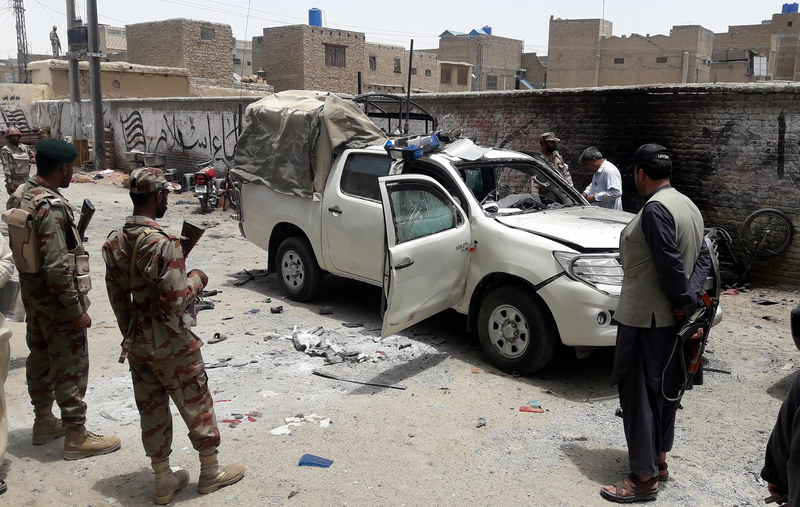 Although violence in Pakistan has declined in recent years, both Balochistan and Karachi have long been plagued by homegrown militancy and sectarian violence. No group has claimed responsibility for the blasts.